In June 1950, Charles A. Smith, who had previously worked in Ford’s Canadian and South African operations, replaced Hubert French as Ford Australia’s managing director. 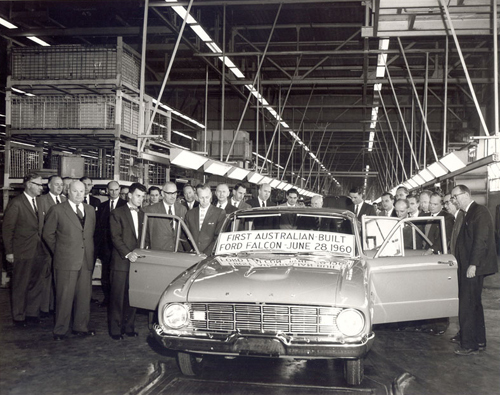 Smith soon began pushing for an extensive overhaul of Ford’s Australian business, including plant modernization and, inevitably, the introduction of locally manufactured products. By 1955, Smith had finally convinced his superiors in Oakville, Ontario (where Ford of Canada had moved its headquarters in 1953) to authorize AU£18.5 million (around US$41 million) for facilities and tooling for local manufacture. 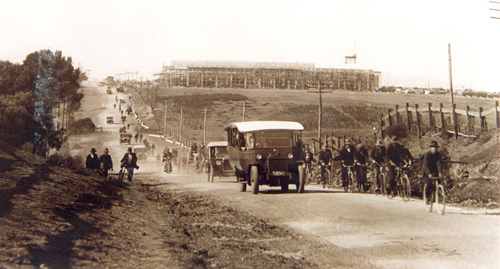 In April 1957, Ford Australia purchased 400 acres (161.8 hectares) of land in Broadmeadows, outside Melbourne, which had a larger base of skilled workers than did Geelong. Construction on the new factory began the following February. The central question, of course, was what car the new plant would manufacture. Initial plans involved an updated version of the six-cylinder Zephyr Mark II, which had bowed in 1956. It was a logical choice, since the Zephyr was Ford’s closest competitor to the popular Holden in size and performance. Local manufacture would also help to bring the Zephyr’s price more in line with that of its GM foe. Although the Zephyr Mark IIA was to be Ford’s first Australian-made car, styling was still the province of the corporate headquarters in Dearborn, Michigan. In July 1958, Charlie Smith and engineer Brian Inglis flew to Dearborn to view a full-size model of the new Zephyr. To the dismay of his American colleagues, Smith disdained the mock-up, declaring frankly that it would be no match for its Holden rival. It was not an especially politic response, but Ford Australia had a great deal riding on the new car and a warmed-over version of a model for which Australian buyers were not exactly queuing up wasn’t what Smith had in mind. 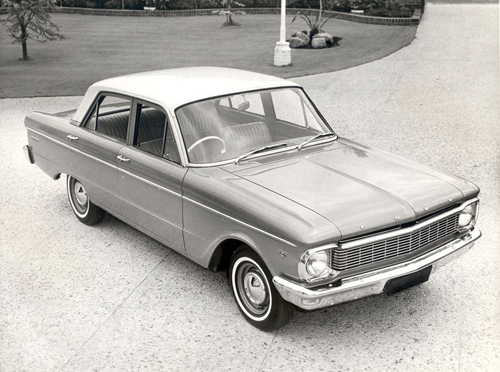 Fortunately, Ford of Canada executive vice president Theodore Emmett, who had invited Smith to Dearborn in the first place, stepped in to suggest an alternative: the compact Falcon, then in development for the North American market. As we’ve previously discussed, Ford had seriously considered introducing a compact U.S. model in the late forties, but the planned “Light Car” was ultimately consigned to the European market, becoming the French Ford Vedette. Ford Division stylists had been toying with compact and subcompact designs since the mid-fifties, but it was not until 1957 that a new small car for the U.S. market became a serious production program, thanks in no small part to the support of Robert McNamara, then group vice president of the car and truck group. The new compact was initially code-named “19XK Thunderbird” (or just “XK-Thunderbird”); it officially received the name “Falcon” in April 1958. By the time Charlie Smith arrived in Dearborn later that year, it was close to its final production form and its engineering was on the fast track for an October 1959 introduction. The Falcon was more to Charlie Smith’s liking than the mooted Zephyr Mark IIA. 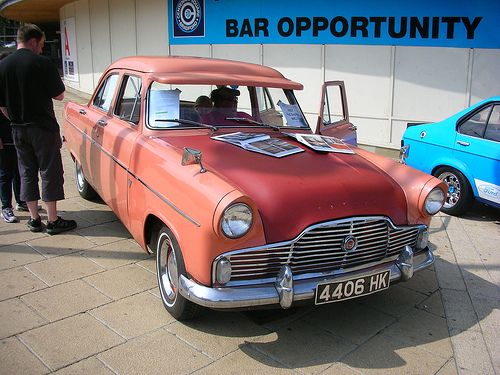 While its styling was unlikely to set many hearts aflutter, it was much more modern than the Zephyr and it looked more American than English — something Smith thought would appeal to Australian buyers. Although the Falcon was marginally larger than the Zephyr Mark II, it actually weighed less and it promised to be cheaper to build. While Brian Inglis had some doubts about the Falcon’s suitability for Australian roads, Smith was sold. Even before he and Inglis returned home, Smith cabled his office to cancel tooling and parts orders for the Zephyr Mark IIA. 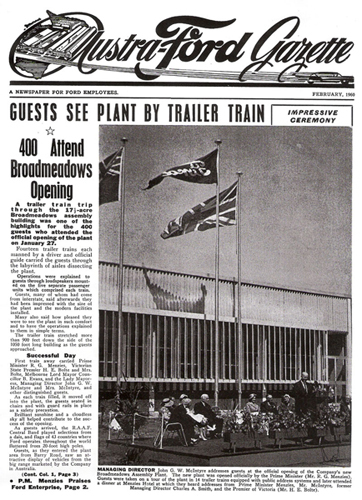 The new Broadmeadows factory was completed in August 1959, coming online in time to assemble the final Australian-built Zephyrs; Mark II production ended October 22. The engine plant in Geelong, meanwhile, was tooled up to produce the Falcon’s all-new lightweight six. Pilot production of the first Australian Falcon, dubbed XK, began in June 1960. By then, managing director Charlie Smith, the Falcon’s greatest champion, was already gone, having retired at the end of 1959. His successor was John McIntyre. The XK Falcon was presented to the press at Melbourne’s posh Chevron Hotel in September 1960 and went on sale shortly thereafter, about 11 months after its U.S. counterpart. 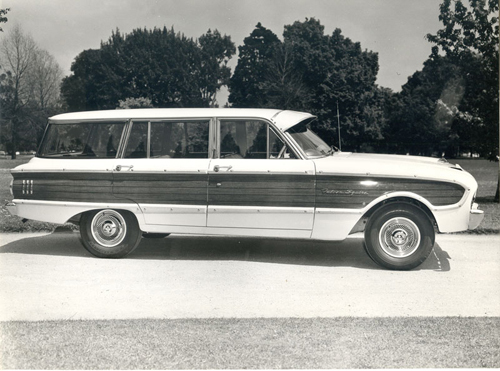 The wagon debuted a month later, with the panel van and coupe-utility arriving the following May. Traditionally, cars sold in Australia have a model code (normally two letters) instead of a model year, as annual model changes are uncommon. More often, a model will run for 18 months to three years, usually including a minor update in longer runs. A platform will normally run for 8-10 years, with a major mid-cycle refresh in that time. From a legal point of view, cars are titled as the year they were complianced, independent of any model code or year attached. So, we could have a Oct 1956 ‘1957’ Chev, for example. It would still be referred to as a ’57, but the registration label would say 1956. In some cases, an individual model receives significant revisions during its run, ranging from changes in engine or option availability to major structural modifications. As a result, individual cars with the same model code may differ quite a bit depending on when they were actually manufactured. The use of model codes often makes it difficult to directly compare the annual sales totals of different models. Unlike the U.S., where most new cars are introduced at roughly the same time each autumn and continued through the following summer, new Australian cars may appear at different points during the year and the run of a particular model will often overlap multiple generations of its key rivals. Because the length of each model run is not uniform, even comparing the sales of two generations of a single car can be problematic. For example, while total production of the XK Falcon exceeded that of the later XM, the XK’s production run was nearly 24 months while the XM’s lasted just under a year. Although it was available only in four-door form, the initial Australian XK sedan was nearly identical to the early North American Falcon, with a modest 144 cu. in. (2,365 cc) engine, 13-inch (330mm) rims, and a decidedly Spartan standard of trim. Starting price was AU£909 (about US$2,025 at the contemporary exchange rate), or AU£1,337 with tax (about US$2,540) — roughly AU£30 (US$67) more than a basic FB Holden. In its favor, the XK Falcon had more modern styling, greater space efficiency, and a better power-to-weight ratio than the FB Holden, although some buyers nonetheless complained that it was underpowered. 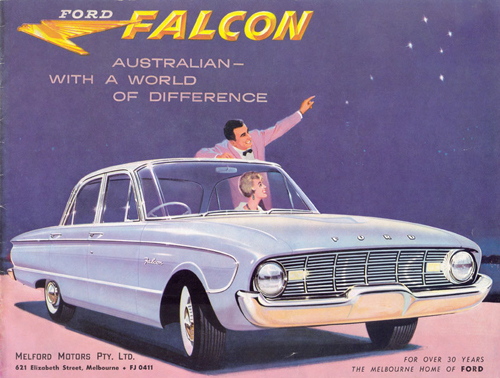 The Falcon also returned reasonable economy for a family sedan even with the optional two-speed Fordomatic, an AU£119 (US$265) option, and offered easy steering and a cossetting, big-car ride. Unfortunately, the XK’s hasty development (and Ford Australia’s lack of a dedicated proving grounds) had left little opportunity for testing in local conditions. 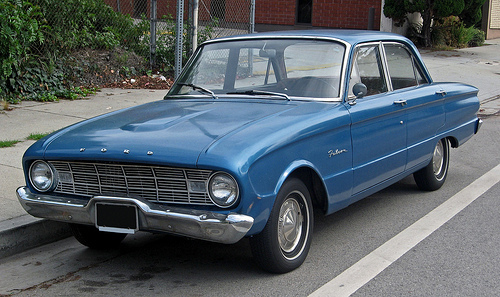 The Falcon’s commendably light weight had been achieved by ruthlessly optimizing every component for typical American use, which meant gentle driving on smooth, level roads. Smooth pavement was still scarce in Australia in 1960. According to official statistics, less than half of Australia’s publicly accessible roads were paved even with gravel and only about 10% were concrete or modern sealed bitumen. In typical Australian use, the Falcon’s soft suspension tended to lose its composure, its slow steering was too vague, and the traction and load capacity of its skinny 6.00 x 13 inch tires left much to be desired. Dust sealing was also inadequate, something that was seldom a concern in middle America, but of considerable relevance to Australian owners. The Falcon soon developed a reputation for fragility, as well. 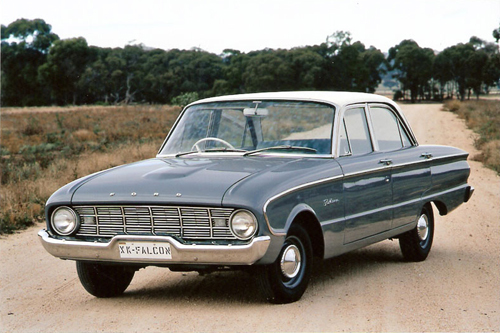 Even in the U.S., early Falcons were prone to front suspension problems in hard use; on rough Australian roads, customers soon complained of ball joint failures and other front-end ailments. Clutch problems were another frequent complaint, as was premature rust. 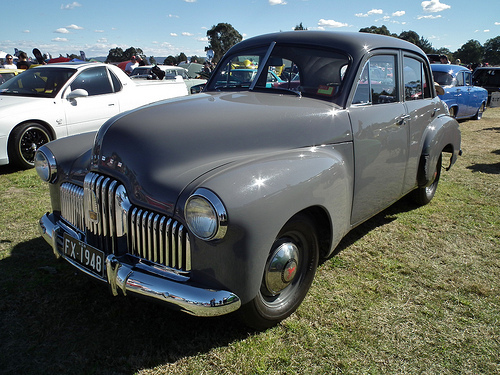 Some historians maintain that the XK’s mechanical woes have been exaggerated, but Ford officials like Max Gransden, then the regional sales manager for New South Wales, admitted that the early cars’ service issues were a major problem, not least in terms of public perception. Early Falcon sales were disappointing. Although most Americans considered the Falcon a cheap small car, the XK was a largish sedan by Australian standards and its price was a bit rich for economy-minded buyers, even without the negative word of mouth about its reliability. While the FB Holden looked comparatively dated — a bit like a mid-fifties Chevy sedan that shrank in the wash — it was a known quantity, it was somewhat cheaper, and it had a significant edge in brand loyalty. Not helping matters were a 1961 credit crunch and a dramatic increase in the national sales tax, which had a chilling effect on the entire Australian market before it was hastily rescinded the following year. Ford Australia eventually built 68,455 XK Falcons through June 1962. That was better than the 11,000-odd R- and S-Series Valiants Chrysler Australia sold during the same period, but well behind the FB Holden, which accounted for nearly 175,000 sales between 1960 and 1962. 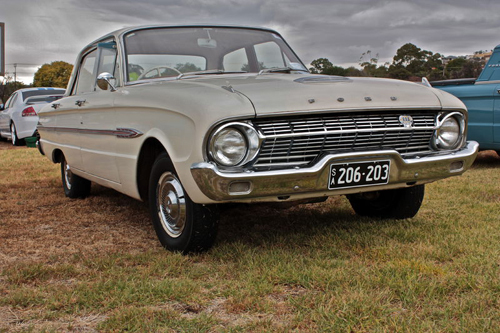 On a brighter note, the Falcon did markedly improve Ford’s Australian market share, which rose to more than 19%. 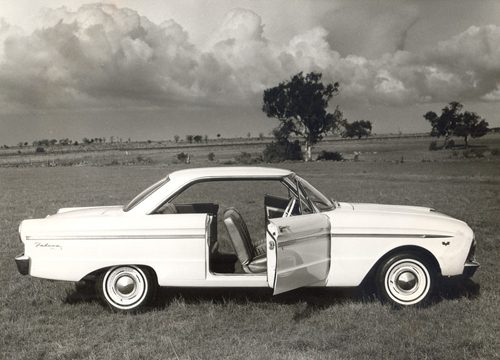 By the end of 1961, Ford had committed more than AU£15 million (about US$33.5 million) to expand its total Australian production capacity from 50,000 to 90,000 units a year. As the Australian Falcon gained credibility, its North American counterpart was losing ground. Demand for American compacts, which had been strong at the beginning of the decade, was fast evaporating, as buyers turned to larger, more powerful intermediates or compact sporty cars like the Ford Mustang, which soon left the humble Falcon for dead. 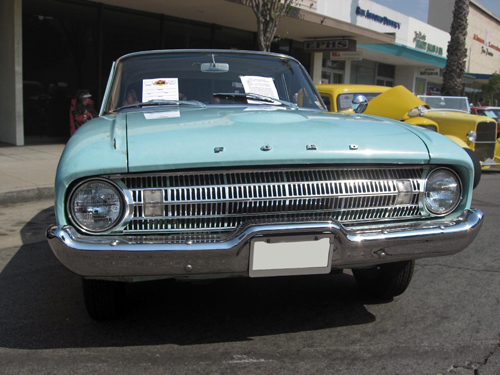 Bowing to those trends, when Ford redesigned the U.S. Falcon for 1966, it gained greater stylistic kinship with the Mustang and substantial structural commonality with the midsize Fairlane. 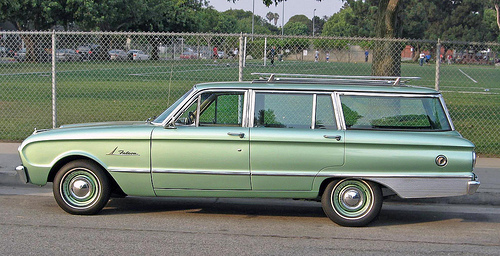 In some respects, the new Falcon was a cut-down Fairlane; it was 1.9 inches (48 mm) wider, 2.7 inches (69 mm) longer, and 165 lb (45 kg) heavier than the 1965 Falcon and now shared the same 58-inch (1,473mm) tread width as its midsize cousin. The Falcon’s new look, meanwhile, aspired to Mustang-like long-hood, short-deck proportions, with a distinct rear fender kick-up. Ironically, however, the two sportiest body styles, the two-door hardtop and the convertible, were both dropped, victims of poor sales. 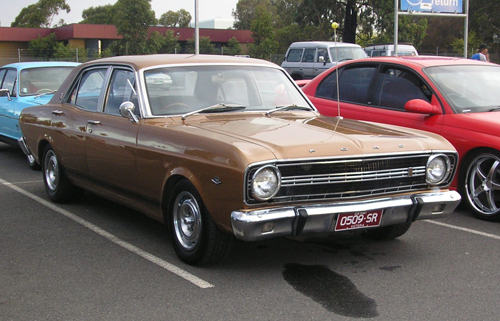 The Australian XR Falcon, launched in September 1966, once again followed the template of the North American version, but it sported unique front and rear clips. 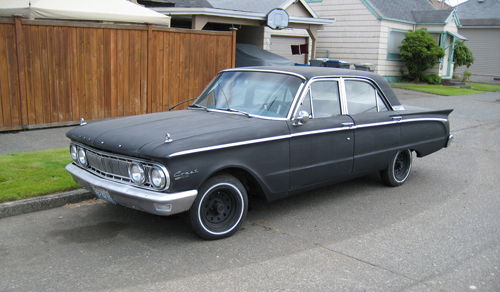 The Pursuit 170 (2,780 cc) engine and 14-inch (356mm) wheels were now standard across the board, but, as with the U.S. Falcon, the hardtop coupe was discontinued. The big news was the arrival of an optional V8, Ford’s familiar 289 cu. in. (4,728 cc) small block. The 289, with a two-barrel carburetor and 200 gross horsepower (149 kW), was actually the mildest of Ford’s U.S. V8s, but it made quite an impression on the Australian market. 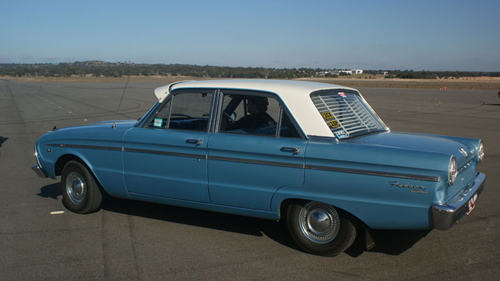 Even with the optional three-speed Cruise-O-Matic, a V8 Falcon was capable of reaching 60 mph (97 km/h) in less than 12 seconds, brisk performance by Australian standards. The new engine quickly won enthusiastic fans among local police forces and attracted considerable interest from race builders. It was not lost on Bill Bourke, now Ford Australia’s deputy managing director, that performance-oriented image cars were becoming big business in the U.S. Thanks to the burgeoning youth market, the Mustang had been a huge success, as were the new breed of high-powered intermediates, typified by the Pontiac GTO. Most Australian cars of the time were rather bland porridge, but Bourke thought Australia was ready for a similar performance boom. 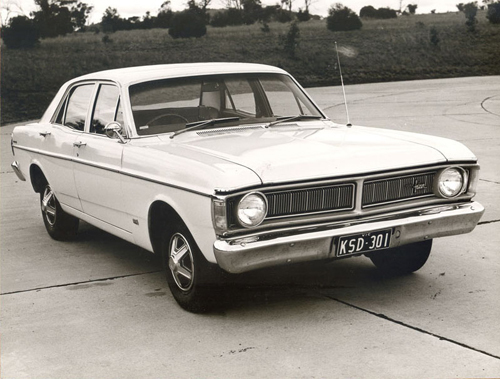 At the time, Ford Australia’s Product Engineering Department was developing a specially tuned XR Falcon for the Victoria Police, featuring a heavy-duty suspension, front disc brakes, four-speed manual transmission, and the hotter four-barrel 289 offered on U.S. Mustangs. Bourke saw it as a natural starting point, so he proposed offering it as a production model. Bourke said later that his idea was greeted with considerable skepticism in Dearborn. Ford’s last attempt to make a sporty car out of the Falcon, the V8-powered Sprint, had been a commercial flop despite respectable performance in European rally competition. The idea of making a credible performance car out of the four-door Falcon sedan — the XR Falcon line no longer included a two-door hardtop, a convertible, or even a pillared two-door sedan — seemed more than faintly ludicrous. 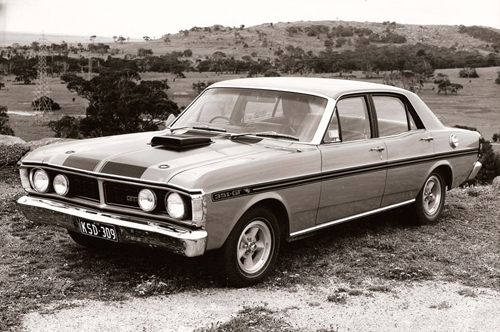 Undeterred, Bourke went ahead with what became the first Falcon GT. 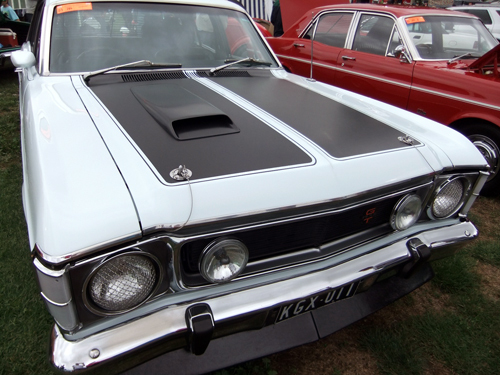 The Falcon GT went on sale in March 1967 with a hefty list price of AU$3,890 (about US$4,330), compared to AU$2,226 (around US$2,500) for a basic six-cylinder Falcon sedan. 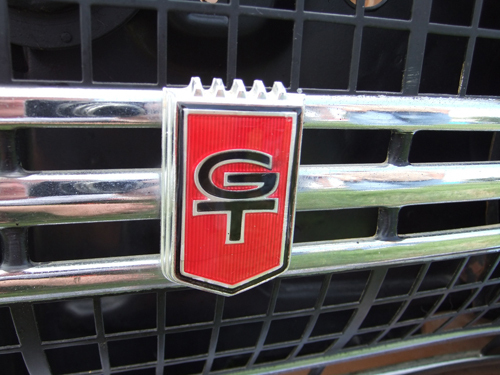 Although it was not a big seller, the GT was nonetheless a great image builder and a statement of intent. Ford eventually sold around 600 of them; the most commonly quoted figure is 596. An equally important sales milestone was 260, the total required to homologate the GT for Australia’s most important motorsport event — the Gallaher 500 at Bathurst. The event that became Australia’s “Great Race” was first held at Phillip Island, Victoria, in November 1960, a 500-mile (805-km) race sponsored by the Armstrong shock absorber company. The Armstrong 500 remained at Phillip Island through 1962, when track damage led the race to be relocated to the Mount Panorama Motor Racing Circuit in Bathurst, New South Wales. Mount Panorama was a challenging 3.9-mile (6.2-km) circuit, rising more than 570 feet (174 meters) from lowest to highest elevation. There was little run-off space and there were no barriers other than barbed-wire fences; even seasoned racing drivers like Stirling Moss expressed alarm at the circuit’s lack of safety features. 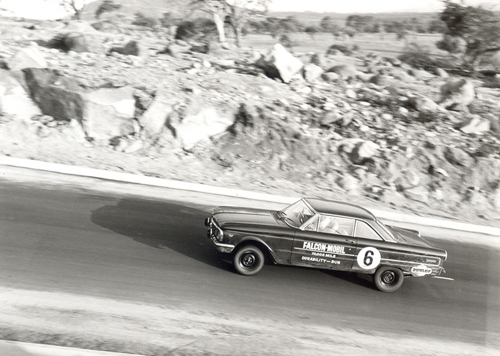 Privately run XL Falcons had made a good showing at the 1962 Armstrong 500, but Ford’s locally made Cortina had won the Bathurst race from 1963 to 1965. Rules changes subsequently put the Cortina out of the running and the 1966 race, now sponsored by the Irish cigarette company Gallaher, had been won by Rauno Aaltonen and Bob Holden, driving a Morris Mini Cooper S. The arrival of the Falcon GT gave Ford Australia a chance to reclaim the crown and build its nascent performance image. Although conventional wisdom still maintained that cars the size of the Falcon or the big Holdens were too large for the tight Mount Panorama circuit, the Falcon XR GT dominated the 1967 Gallaher 500 with average lap times more than 7 seconds shorter than those of the previous year’s winning Mini. Unfortunately for Ford works drivers Harry Firth and Fred Gibson, a scoring snafu initially awarded the victory to privateers Ian and Leo Geoghegan, an error that was not rectified until weeks after the event. For Ford marketing, it was a win either way: the Geoghegan brothers were also driving a Falcon GT. Although GM-Holden was bound by the same anti-racing policy as the rest of General Motors, GM-H was not oblivious to the considerable publicity value of the GT and its Bathurst victory. 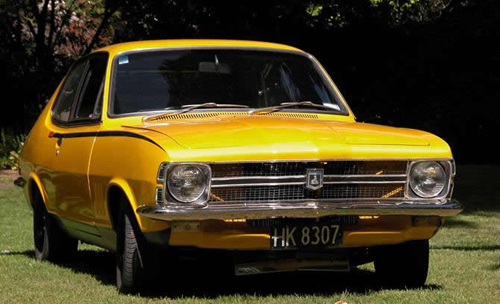 The new HK Holden, introduced in January 1968, offered its own V8, a Chevrolet-designed 307 cu. in. (5,035 cc) engine with 210 horsepower (157 kW). Not to be outdone, Ford’s facelifted XT Falcon, launched in March, countered with a stroked 302 cu. in. (4,942 cc) V8 with 230 horsepower (186 kW). GM-Holden then trumped the Falcon XT that July with the addition of a sleek hardtop coupe, the Monaro, which could be ordered with a 250 hp (186 kW) Chevy 327 (5,354 cc) V8. Inevitably, Holden’s sporty Monaro GTS 327 found its way to the racetrack, both in private hands and with David McKay’s new Holden Dealer Racing Team, which fielded three cars at the Bathurst event — now called Hardie-Ferodo 500 — in October 1968. On the Mount Panorama circuit, the Holden’s superior power-to-weight ratio translated into consistently better lap times and GTS 327s took first, second, and third place. The XT GTs of the Ford works team could do no better than ninth, falling behind a private XR GT driven by Ken Stacey and Bruce McIntyre, which managed seventh. In 1969, the short-lived Holden Dealer Racing Team was replaced by the quasi-official Holden Dealer Team, now led by former Ford driver Harry Firth. Although not technically a works team, HDT would benefit from considerable factory support. The stage had been set for a dramatic racing rivalry. 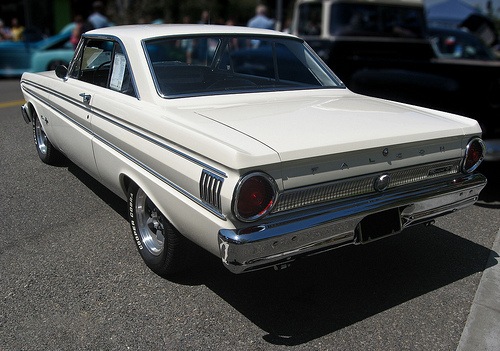 While a third-generation Falcon was in development by the summer of 1968, it was not slated to debut for another three years. 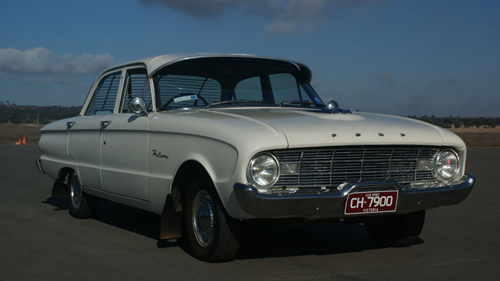 In the interim, Ford Australia made do with several successive makeovers of the existing Falcon platform. The XW, which replaced the XT in June 1969, had an extensive facelift and and a new interior, making it look almost like an all-new car. To capitalize on the image value of the GT, the XW was available with a new GS option package, which added some of the GT’s cosmetic features without its mechanical upgrades. The Futura series also returned, positioned between the mid-level Falcon 500 and the plusher Fairmont. 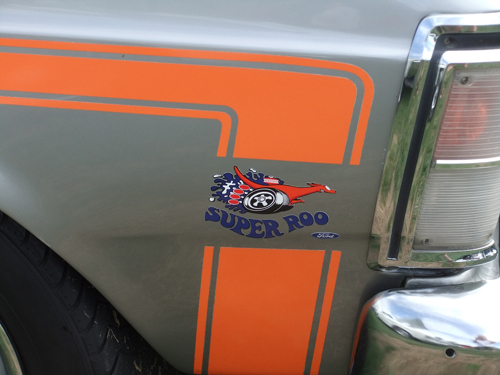 The XW Falcon still didn’t offer a two-door hardtop body style to rival the Monaro, but the new GT, now sporting ostentatious racing stripes and “Super Roo” decals, had Ford’s 351 Windsor (5,765 cc) V8 with a four-barrel carburetor and 290 gross horsepower (217 kW). The fitment of an oversize fuel tank made it clear the new GT was intended as much for the track as the street. About a month after the GT’s introduction, Ford added an even hotter version, the GTHO, developed by engineers Peter Thorne and Barry Nelson with the help of new works team driver Allan Moffat. Intended specifically for Bathurst, the GTHO had a retuned suspension, upgraded brakes, stouter driveline components, and an even 300 gross horsepower (224 kW), courtesy of a hotter camshaft, bigger carburetor, and other engine modifications. “HO” ostensibly stood for “Handling Option,” but it might just as well been short for “homologation,” which was its real raison d’être. While the Falcon GTHO now had the power to challenge the Holden Monaro at the 1969 Hardie-Ferodo 500, its chances of victory were undone by the last-minute addition of specialized racing tires, which proved a serious tactical error. Two of the three factory cars suffered blowouts that Allan Moffat attributed to the drivers over-stressing the unfamiliar tires. While Moffat had no such problems, team manager Al Turner, understandably concerned after the previous tire failures, ordered him to pit for a preemptive change, a delay that may have cost Moffat and co-driver Alan Hamilton the race. The final victory went to a Monaro GTS 350 driven by HDT’s Colin Bond and Tony Roberts, although Ford drivers Bruce McPhee and Barry Mulholland managed a close second. In June 1970, Ford unveiled an even hotter race-bound GTHO, dubbed “Phase II.” Its engine, actually introduced on some of the previous GTHO cars (known retroactively as “Phase I”), was now an imported 351 Cleveland V8, featuring taller decks and bigger ports for better breathing. The Phase II engine, developed by former Repco Brabham engineer Ian Stockings, added a wilder solid-lifter cam and a bigger Holley four-barrel carburetor. Although its rated output was unchanged at 300 horsepower (224 kW), it was significantly more powerful than the standard GT. Formidable as it was, the GT-HO Phase II was not the hottest XW Falcon. 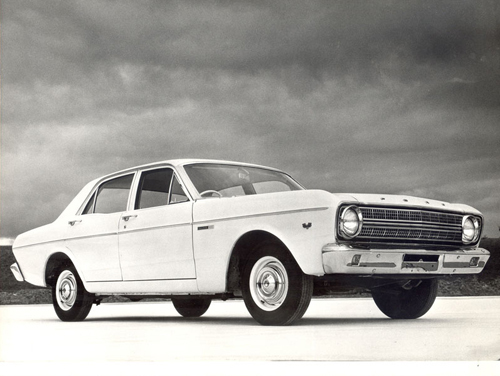 Bill Bourke, now managing director, had his personal XW sedan fitted with the big 428 cu. in. (6,997 cc) FE-series engine offered in U.S. Mustangs. 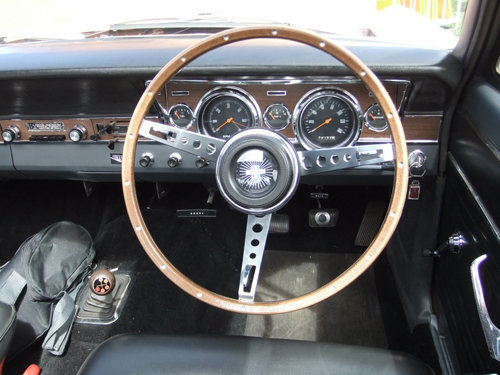 According to stylist Wayne Draper, who borrowed the car for a short but memorable drive in 1970, it had enough torque to spin its wheels at 100 mph (161 km/h), but Draper found its handling was rather alarming. 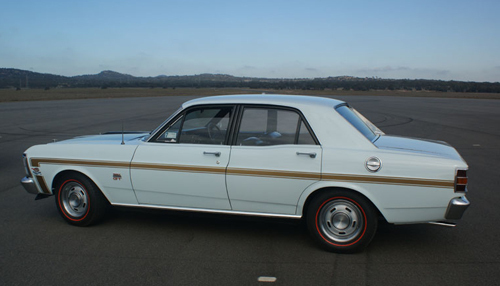 Around the same time, Ford Special Vehicles also built two lightweight, fuel-injected GTHO Super Falcons for Australian Touring Car Championship competition, producing 620 hp (462 kW) at a screaming 9,600 rpm. Unfortunately, reliability problems and cost overruns soon curtailed the Super Falcons’ racing career. Fans hoping for a rematch between the XW Falcon GTHO and the Holden Monaro at Bathurst that October were in for a disappointment. 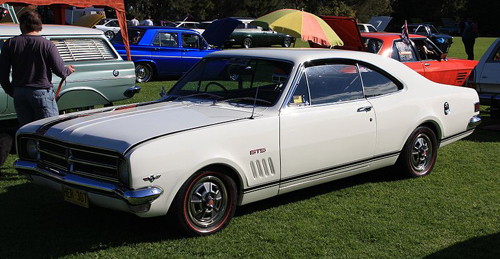 While the Monaro GTS 350 remained available for civilians, the Holden Dealer Team switched to the smaller six-cylinder Torana LC GTR, trading the V8’s raw power for tidier dimensions and better handling. 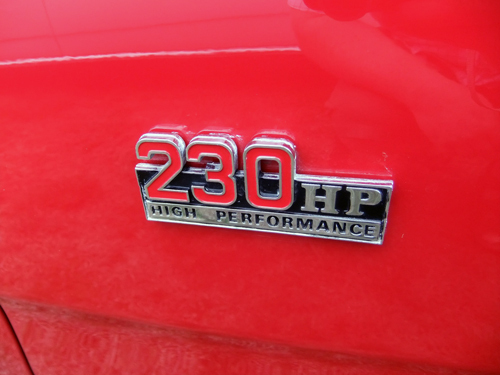 Another rival was Chrysler’s Pacer, a sporty version of the VG Valiant powered by a high-performance version of Chrysler’s new Hemi six, making 235 horsepower (175 kW) from 245 cu. in. (4,018 cc). Neither the Chrysler nor the Torana was a match for the GTHO Phase II. Even after suffering mechanical problems, works Falcons took both first and second place, giving driver Allan Moffat his first Bathurst victory. While the GT and GTHO accounted for only a fraction of total Falcon sales — the totals were 2,287 GTs and 662 GTHOs — the GTHO’s performance on the racetrack undoubtedly added luster to the workaday cars. The XW set another sales record for the Falcon line, selling nearly 106,000 units in all and helping to boost Ford’s Australian market share to more than 21%. 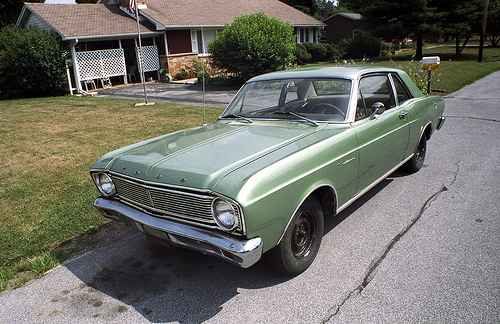 The XY, introduced in October 1970, was the final iteration of the second-generation Falcon platform and the first without a North American contemporary; the U.S. Falcon was discontinued before the start of the 1971 model year. 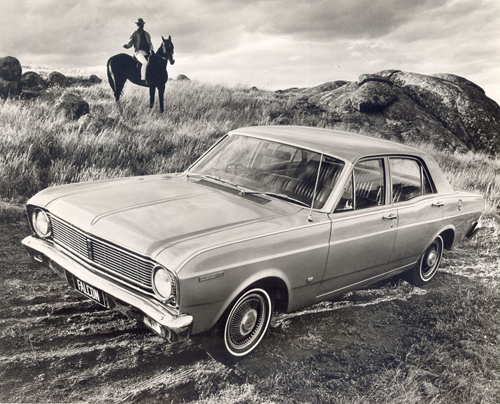 The XY Falcon’s launch came on the heels of an equally significant milestone for Ford Australia. In August, Bill Bourke became president of the newly established Ford Asia-Pacific & South Africa, Inc., turning over his former duties to Brian Inglis, who became Ford Australia’s first Australian-born managing director. 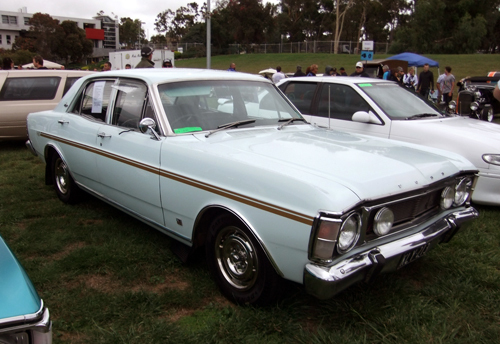 Structurally, the XY Falcon was an evolution of the previous XW, distinguished chiefly by its new grille. However, in sharp contrast with the American Falcon, whose options list had been steadily pared down as it neared the end, the XY enjoyed a proliferation of new features and new powertrain options. The 200 cu. in. (3,280 cc) six was now standard and a new 250 cu. in. (4,092 cc) version was optional, offering a choice of single- or two-barrel carburetors and up to 170 gross horsepower (127 kW). If that wasn’t enough, both the 302 (4,942 cc) and a mildly tuned two-barrel 351C (5,765 cc) V8 were now available on the bread-and-butter sedans, making up to 250 hp (186 kW). There was even an ambitious but unsuccessful 4WD version of the Falcon ute. The new XY GT was very similar to the previous GTHO Phase II, with the 351 Cleveland engine and a claimed 300 gross horsepower (224 kW). 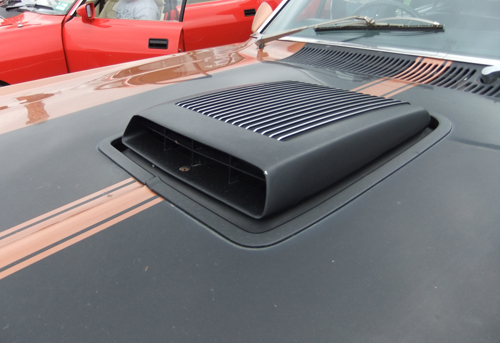 With its dramatic stripes and loud paint — the most popular hue was the vivid red-orange worn by the works racers, which Ford dubbed Vermillion Fire — the new GT would have been hard to miss even without its most dramatic feature: an obtrusive “shaker” hood scoop. 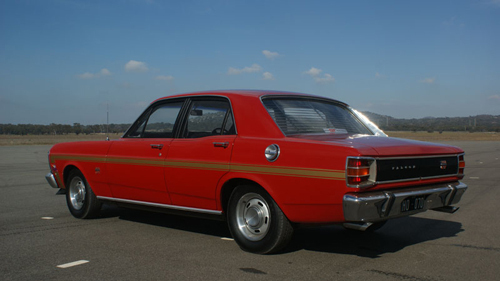 Although the XY GT sold only 1,557 copies, thanks in part to a lofty base price of AU$4,250 (about US$4,780), it quickly became an Australian muscle car icon. Ford built 300 Phase IIIs for homologation and 13 XY GTHOs competed in the 1971 Hardie-Ferodo 500 that October. Although five of those cars failed to finish the race, the Phase III’s performance was enough to earn Allan Moffat his second Bathurst win. Phase III Falcons also claimed second, third, fifth, and sixth places. 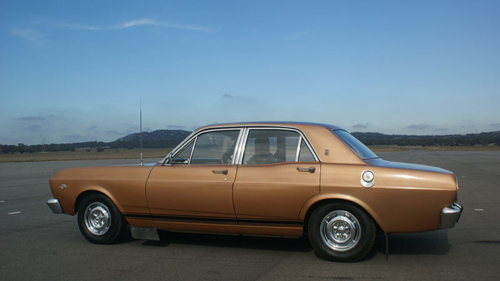 The Chrysler Valiant Charger E38, the Falcon’s main rival in Class E, managed no better than seventh place while Colin Bond’s Torana GTR XU-1, competing in Class D, earned fourth place overall. The XY’s racing exploits helped to make it the most popular Falcon to date, selling almost 119,000 units during its 15-month run. In part two of this article, we’ll pick up the story with the introduction of the all-new third-generation Falcon, and the “Supercar Crisis” that rocked the Australian auto industry in 1972. Setting aside the editorial ‘we,’ I would like to extend a heartfelt thanks to reader John Howell, who not only encouraged me to move this story from the “Yeah, I should do that one of these days” category to the top of my list, but also graciously allowed me to use some of his photos and offered many valuable insights into the shape of the Australian motor industry. Special thanks are also due to Ford Australia historian Michele Cook and Ford Archives and AV Assets manager Dean Weber for their assistance in gathering images for this story.